Routinely, law enforcement officers in the United States are tasked with becoming the de-facto street-level mental health workers, responding to increasing numbers of mental health-related calls. This requires more training, more effort placed on de-escalation and crisis intervention, and it also requires a shift from more traditional methods of policing. Police officers are also at risk for a variety of mental health-related challenges themselves. 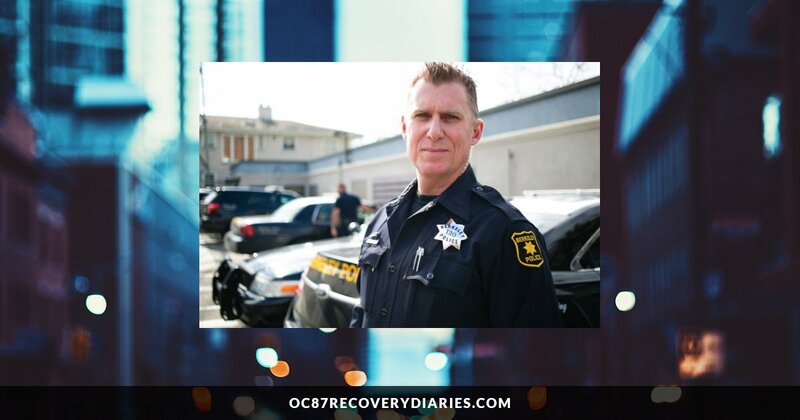 Here to talk about all of this is Berkeley, California Police Officer and Marriage Family Therapist, Jeff Shannon. This is Part One of a two-part interview. Follow this link to read the second part of the interview. GABRIEL NATHAN: Hi, Jeff. Welcome to Recovery Diaries. Can you start by talking a little about your practice? JEFF SHANNON: I have a part-time private practice that is over and above my regular 9:00 to 5:00 police officer job. In my practice, I see a lot of police officers. This is not exclusively for law enforcement but that is my specialization. GABRIEL NATHAN: Are you part of the Berkeley Police Department’s Employee Assistance Program (EAP) or are you totally independent? JEFF SHANNON: Totally independent. I am a member of one EAP – actually, I’m a member of the panel for our Berkeley Police Department’s EAP. However, I would never see a police officer that I work with in my practice. GABRIEL NATHAN: Right. And do you have any involvement with debriefings for critical incidents that officers go through, like officer-involved-shootings? JEFF SHANNON: Yes, I coordinate our critical incident stress management program which includes critical incidents stress debriefings. GABRIEL NATHAN: Can you talk to me a little bit about your evolution as a police officer? I’m assuming that, when you were first starting out on patrol, that you weren’t involved in mental health. So, how did that evolve and did you always have an interest in mental health? JEFF SHANNON: Well, I didn’t become a police officer until I was 37 years old, and I just turned 50 in January. So, when I came into law enforcement, I had many years of experience in the mental health profession behind me. So, it was a career changer and, the first several years of my law enforcement career, I didn’t have a practice. I didn’t do any mental health work because I wanted to immerse myself in law enforcement and do a good job as a cop. So, the years went by in law enforcement, and I was fortunate enough to earn a good reputation within my department. Then we had a new chief who came from the Seattle Police Department and the new chief was into crisis intervention team (CIT) training because they had it in Seattle. So, when he came to our department I didn’t know even what CIT was. But the chief put me in charge of developing a crisis intervention training program for our department and that’s when I started learning about it. And as I learned about it, I very quickly became sold on it in terms of its value. And so, from there, I went through the process of building— with a lot of help—the crisis intervention training program for our department. GABRIEL NATHAN: How many officers work for the City of Berkeley and how many are CIT trained? JEFF SHANNON: We have about 170 sworn police officers and at this point— I don’t have the exact numbers in front of me— but I can tell you that a little over 30% of all of our sworn personnel now have the training. When CIT was initially developed, it was recommended that police agencies have about 25% of everyone that’s on patrol have the training. Since then, a lot of chiefs and sheriffs around the country have decided that, because of how much contact law enforcement has with people in a mental health crisis, they want to train 100% of their officers or deputies. In fact, at this point, our own department has decided to move in that direction as well. So, our goal is to train everybody. We’re at 35% or so right now. GABRIEL NATHAN: I’m really glad that you mentioned that, Jeff. I used to work for a psychiatric hospital called Montgomery Country Emergency Service (MCES). And MCES trains officers under the Crisis Intervention Specialist model—the oldest crisis intervention education program for police officers in the country— which began in 1975. The philosophy behind CIS is instead of the team approach is to train every officer in the department, so that you’re not relying on an officer with a specified skill-set and hoping that they’re available for a mental health crisis call. My question to you is related to that: in the earlier days of CIT, before the goal was established to train 100% of your officers, how were officers selected or did officers self-select for CIT? Did they say, “This is something that I want to do,” or did superior officers recommend certain officers based on personality traits or experience? What makes someone a good candidate for CIT training? JEFF SHANNON: And so, there is an argument to be made for the CIT model and certainly a lot of departments are still using this model. I just want to touch on that briefly. The argument there is that not every police officer wants to have that specialization in working with people with mental health challenges or people with a mental health crisis, in the same way that not every officer is interested in becoming a motor officer, for example. So, the CIT philosophy is that we want to have a self-selecting group of people that want to do the work, they want to do the training, and then they get their CIT pin, and they take pride in the fact that they’re part of the team. And so, that adds meaning to those officers that are CIT trained and so, I think there is an argument to be made there. Now, much earlier, what we were up against is that we just get so many calls for people in crisis. The case law over the last five years has changed in such a way that the expectation of our officers has gone way up, what the community and the courts expect from us has gone up. GABRIEL NATHAN: So lets go back to what makes an officer a good CIT candidate? JEFF SHANNON: Right. So, when we first started out, it was a self-selecting group who would apply to be CIT officers. We would interview them and then if selected, we’d send them to the training. Now, that was back when we were going for the goal of 25% of all our patrol. Now, since that changed, what we do is when there’s a training coming up, I will send an email out to everyone in the department that has not had the training, asking for volunteers and when I get those volunteers, I’ll look at the patrol schedule and I’ll look at each of the teams to see which team uses CIT officers and I’ll prioritize who goes to training based on the patrol. GABRIEL NATHAN: Can you tell me a little bit about the training? Is it 40 hours? And what is the training comprised of? JEFF SHANNON: The Oakland Police Department collaborates with the Alameda County Behavioral Health Care Services for the training. They sponsor the training and it’s for the county. It’s a 38-hour class and the curriculum is really similar to what you’d see across the country. So, we have a class on an overview of mental illness where we have a clinician come in and talk about schizophrenia, bipolar disorder, etcetera. We have a cultural awareness class talking about protective factors, where they come into play. We have a class on, I believe, developmental disability, autism. We have a class on wellness for CIT officers and crisis de-escalation which is considered the cornerstone of the training. And then we have six visits, so – and this is again similar to what you see across the country, where we have our officers in a classroom and go to the local inpatient, locked psychiatric unit and look at a couple other facilities, for example, the facilities for children and adolescents. One of the most impactful parts of our training is what we call a Consumer Family Panel and these are folks with experience of either having their own mental health challenges or be a caregiver for someone that has mental health challenges. And what they do, is they come in and talk about their experience and they talk about their experience with law enforcement both good and not so good, which really kind of humanizes people with mental health challenges for our officers and they often report it was the most impactful class that they had. 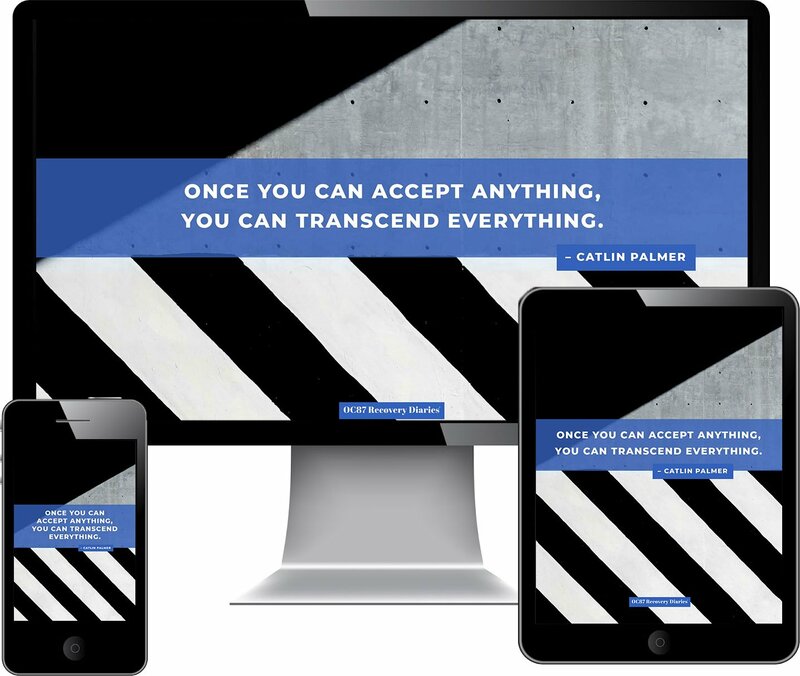 GABRIEL NATHAN: That’s wonderful. Speaking about that, about officers’ perspectives of individuals with mental illness, do you find that there is a stigma against individuals with mental illness amongst law enforcement officers? I mean even amongst CIT trained officers? JEFF SHANNON: I think there’s a stigma against people with mental health challenges period, across the country. And so, that would include law enforcement officers. My experience is that we have so much exposure to crisis that we have to become a little bit numb to it. And so, unfortunately, that translates, for many people, into not caring. And so, what I tell officers in my classes is that people will always remember, always remember their experience with law enforcement. So, the point is: people remember experiences and we try to remind officers of that. I don’t think police officers have more stigma against people with mental health challenges than the general public do. GABRIEL NATHAN: Do you feel that whatever stigma does exist in law enforcement culture, do you believe that that inhibits police officers from seeking help for their own mental health issues? JEFF SHANNON: Absolutely, and that’s a huge problem, and leads to a conversation on our own mental health and wellness. There’s many factors that go into the mix about why police officers are reluctant to seek help. One factor is what we call the “police personality.” There are psychological tests that we all take, personality inventory, etcetera. And those tests are designed to screen in a certain type of person. They haven’t gotten great at screening out people which would really be better, just because the science isn’t really there yet. But we have the ability to screen in a certain type: if they’re the type of person that becomes a police officer, they’ll have certain characteristics such as kind of rugged individualism, a stiff-upper-lip kind of thinking. So, we are programmed— and, of course, I’m generalizing— to be very individualistic to start, and then we have that reinforced through day one of our training this idea that we are helpers. We help other people and we’re not the ones that need help. So, all that goes into the end result, which is that a lot of officers are suffering, are reluctant to pick up the phone and call someone for help. GABRIEL NATHAN: Can you talk to me a little bit more about that police-type and the tests, the psychological and personality tests that are designed to cull those people in and bring those people into the fold? Why is law enforcement actively seeking to attract a certain type of personality? JEFF SHANNON: Yeah, that’s a good question. I think police agencies are in the business of hiring people that are going to last 20 years in a very toxic environment. So, they look for people who are stress-free, people who are resilient, and they’re not sure if the psychological testing can detect that resilience. And so, that means that the training that we give officers safety equipment and defensive tactics and vehicle operation training, I could go down a list. But typically, we don’t get any training on how to take care of ourselves and for that, that means that it’s up to us. Over the last 20, 25 years, there’s been an increasing awareness that we need to get this training to police officers to first, normalize their experience to stress and then also, to deal with this idea of wellness and really break it down and get officers to go beyond that stigma. I would say, just in my experience over the last eight years or so, I’ve seen even in that small period, a change in the thinking of new officers, like if you ask an academy class, “Who here has had experience in counseling?” you see more hands going up. So, I think that the younger generation is more hip to the idea that it’s okay to be in counseling or therapy and that’s not the only route that we can use to get better. But that’s one of the routes. GABRIEL NATHAN: Right, definitely, and the willingness to even talk about it, that definitely signals a change. Do you find that, in the academy, there’s attention being devoted to emotional wellness of the police officer candidates? Do you feel like instructors are watching for people who are having trouble? And is emotional wellness, emotional safety, is that a component of the academy curriculum? And if it isn’t, should it be? JEFF SHANNON: Very good question. In California, there is no formal instruction on resilience building or emotional wellness or whatever you want to call it. There is no formal training that people in a basic police academy get. Now, some academies will offer a few hour classes on the side and then of course, instructors may weave that into their other topic. But no formal training in California. It should be absolutely – it should absolutely be a part of the basic police academy and it should be ongoing training as well for two reasons. One, because it’s the right thing to do. You have police officers who decided they’re not going to be rich, they’re not after the money, and really honestly, the skill-set that officers have, in my opinion, transfers very well to a business environment where they could be making a lot of money. Officers are very bright people capable of multitasking, etcetera. And so, they decided they’re going to be public servants and it’s the right thing to do to help them get the tools to stay healthy throughout that 20-year career. The other reason, it’s good business and we know that the officers that have depression, anxiety, they’re burned out, that they are less productive, they take more sick time, they get more complaints, etcetera. So, there’s a couple of reasons why, it really behooves the California police officers’ standard of training— the regulatory agency of the state— to start integrating wellness into the basic police academy. I don’t believe they have any plans to do that, though. GABRIEL NATHAN: As kind of a dovetail to that question, Jeff, I mean obviously aside from including a component like that into the academy curriculum, what do you think would make for more emotionally healthy police officers? JEFF SHANNON: We have to focus our attention on the police culture and that is really baby steps. 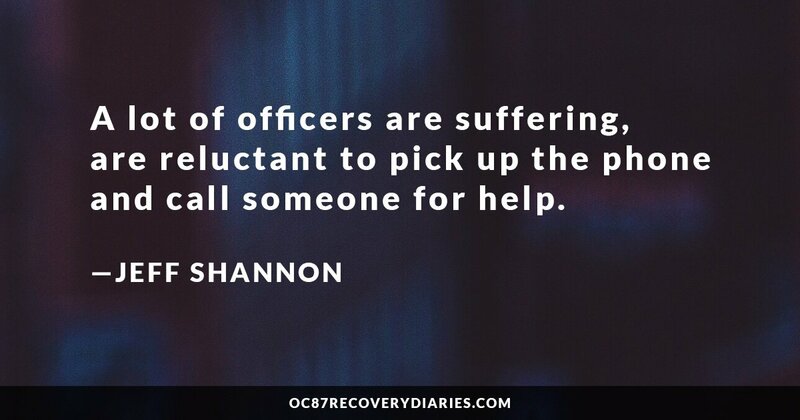 You have officers who are willing to share their struggles with fellow officers and share what they’ve done to work through them. And that’s why the idea of peer support is so important because we know that police officers, if they’re having troubles, whether they are really serious suicidal thoughts or just wild frustration, are much more likely to talk to a peer about that than call up a professional. So, peer support is very important and change in the cultures really will have to go and we have to train our patrol sergeants to be able to recognize the signs if there’s an officer that’s struggling. That sergeant has to be willing and brave enough to intervene with that officer even if that intervention is just asking if they want to talk about whatever’s going on. GABRIEL NATHAN: Do you find that supervisors, like sergeants, are more willing to engage in a conversation with an officer who might be struggling? Do you feel that those kind of front-line supervisors are not only perceptive enough to be keyed into that but willing to take that step of intervening? JEFF SHANNON: So yeah, so think, first of all, I have to step back a second. The law enforcement culture, I believe, is transforming as we speak in terms of just everything that’s going on across the country. So, that’s, I think, ultimately helpful for this. With a patrol sergeant, I think the idea here is that with a promotion to sergeant and lieutenant, they get more leadership training, and leadership training includes something like emotional intelligence, communication, and that is where I think the sergeant would be more likely to have that critical conversation with someone they’re working with because he has had exposure to that training. 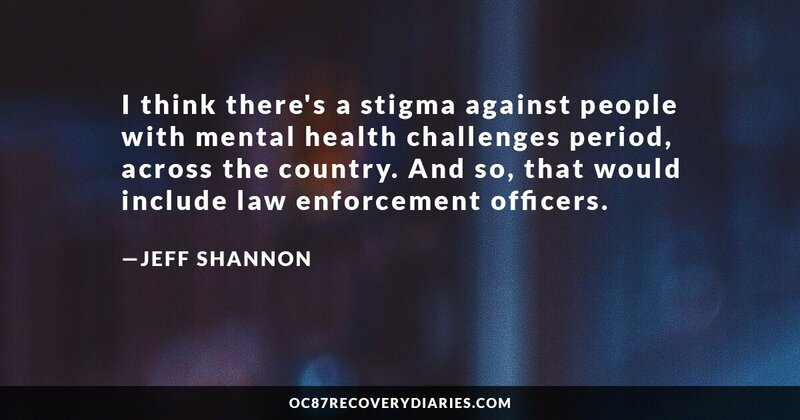 Follow this link for Part II of the interview with Officer Jeff Shannon, who talks more about some of the most pressing mental health-related issues facing the public, and America’s law enforcement officers today.